Congratulations on your new baby!! Bringing home a new baby is a transition for everyone. Getting to know your little one and introducing them to the world is such a beautiful thing. However, there might be stressful times during those first few weeks and months. Mom is recovering, Mom and Dad are sleep deprived, and siblings want more attention. TLC Family Care understands this transitional period requires an extra set of hands. So, we are here to help everyone adjust to the newest addition to your family. Consider hiring a Newborn Night Nanny or Newborn Care Specialist to assist during this time. 1 . Newborn Overnight Nanny. At TLC Family Care, we have Newborn Overnight Nannies. 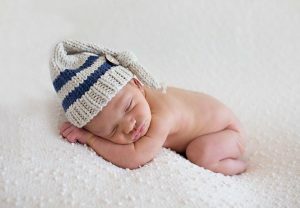 An Newborn Overnight Nanny is a caregiver that comes to your house around bedtime and stays awake through the night (they are required to stay awake the entire time) to take care of the baby when he/she wakes up. The overnight nanny will feed the baby(or bring baby to mom for nursing), change, rock and put the baby back to sleep. This allows new parents to catch up on some much needed rest and enjoy a full night’s sleep because they know their baby is receiving the best care possible. 2. Newborn Care Specialist. If daytime help is what you need, TLC Family Care also offers child care providers who are newborn care specialists. Newborn Care Specialists help parents in their home the first few weeks or months of baby’s life in a number of ways. Newborn Specialists help with parent education, feeding/breastfeeding, basic baby care, and light housekeeping. Newborn Care Specialists can also help older siblings adjust to sharing mom and dad’s attention with a new baby in the house. Whether you are a seasoned mom or new to parenting, an NCS is a wonderful option to help your family adjust. Summer camps can provide amazing experiences for children. New friendships are formed. New skills are acquired. Comfort zones are tested. Best of all, children and teenagers have an incredibly fun excuse to take a break from technology for a bit while spending some time outdoors. It’s important to tour the facility so you can meet as many of the staff as possible. Before registering your child, ask the staff about their credentials. How long have they been working with kids? Are they trained in CPR and First Aid, specifically for children? Talk to the staff in-person, let your child meet them, and get a feel for whether they’ll be a good fit. Don’t just rely on your first impression; you can take it a step further by reviewing staff bios on the website or checking out online reviews from other parents. You also want to make sure the facility is safe and secured. Many summer camps require that children are never left alone without camp counselor supervision at any time. Additionally, your facility should limit visitors to just authorized family members or camp staff. Your child’s safety should always be the number one priority. Period. Regardless of which daycare or summer camp you choose for your child, it can be helpful to prepare your child for the new experience by teaching him or her some basic safety skills. Experts recommend preparing children for summer camp by having some important safety discussions beforehand. Swimming safety equipment is especially important for children, so make sure they are prepared. Remind your child not to share hats, helmets or other headgear with their fellow campers (you don’t want them sharing lice infestations with the rest of the family!). Does your child have a disability or other special need? If so, it can be helpful to bring your child along with you during your facility visit. This lets you observe camp staffers as they interact with your child. You can learn a lot from these interactions. Be sure to also ask about their previous experiences working with children with special needs, and any licenses or certifications they might have. Do you need assistance finding the best camps for your children with special needs? You can start by reaching out to disability foundations in your area for recommendations. You can also check with summer camp directories that specialize in camp programs for children and teens with special needs or disabilities. Remember: you’re not alone, and there are many helpful resources available. Having a nanny for the summer helps keep the house running smoothly too. Your nanny will make sure the kids get to and from camp on time and can be available if a child is sick and can’t make it. Planning camps for multiple kids at the same time can be difficult. When you have a nanny at home for the summer you don’t have to worry if one child doesn’t have a camp the same week as another child. The nanny will make that week at home fun with games, arts and crafts, and by visiting local attractions. It’s not too late to line up a summer nanny. Contact Debbie today at debbie@tlcforkids.com. 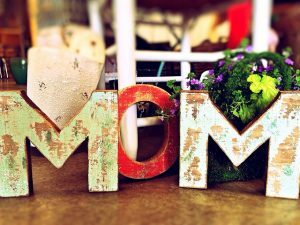 Give mom something she really wants for Mother’s Day … time! Book a sitter today and give mom a much needed day of pampering, lunch and movie with a friend, or make it just the two of you with a delicious brunch. Our sitters will take care of the kids while you take care of mom. Don’t forget that TLC is here to help you with all your in-home child care needs. If you are interested in hiring a full time, part time, summer or after school nanny visit our website at tlcforkids.com. TLC for Kids is currently placing summer nannies in St. Louis and South Florida. If you need reliable, energetic, and professional child care this summer visit our website at tlcforkids.com Or, email us at tlc@tlcforkids.com.